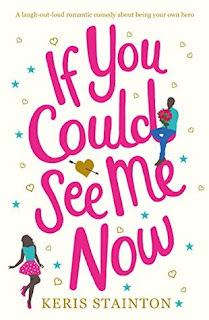 If you could see me now is the story of Izzy. We've all been a bit like Izzy at some point. She puts up with a less than perfect relationship because it's easy. She puts up with a less than perfect job because it's easy. She never quite puts herself first or thinks about striving for more because what she has is fine. However this is about to change for Izzy. Izzy wakes up one morning and finds that she is invisible. Being invisible gives her the opportunity to reevaluate her life (along with the help of her best friend) and opens Izzy's eyes to all of the things she's just put up with because they are comfortable and pushes her to strive for more and value herself more. 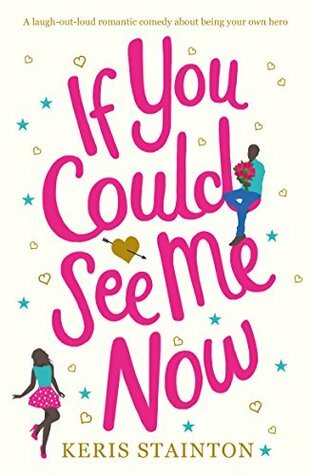 I loved following Izzy's story and particularly loved the relationships within the book particularly that between Izzy and her best friend. Overall I thoroughly enjoyed it and cannot wait for more from Keris.